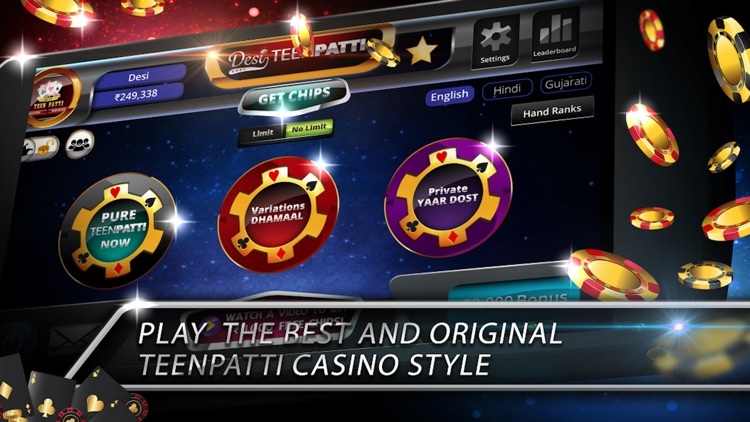 Enjoy Desi Teen Patti: 3 Card Indian Poker Free with over 40 Variations! Experience tons of excitement with a new Indian teen patti game with variations that you can’t find in any other Indian tin patti games. Teen Patti is a three card game similar to other casino games like Poker, Texas Holdem Poker, Flash or Flush, Three card poker game. But we reimagined the regular tin patti games (one of the best Indian card games in whole Indian casino games), to make it more interesting and versatile. Play Teen Patti the way you should. 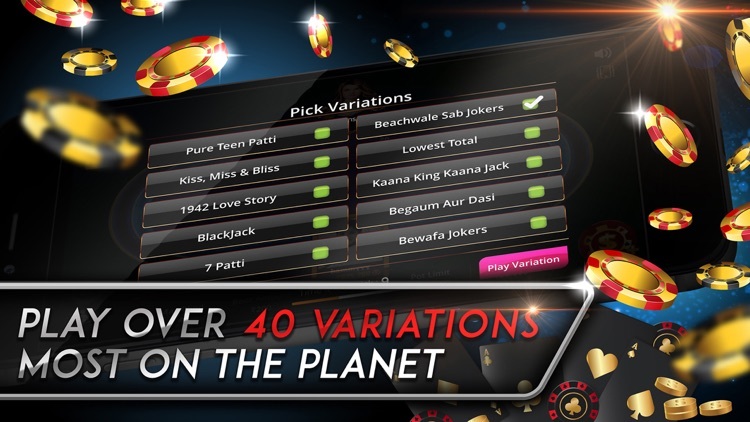 Welcome to the teen patti app uniquely designed and dynamically built to make it most exciting and enjoyable Teen Patti (3 Cards Indian Poker), with the most variations on the planet (42) for FREE ANYTIME ANYWHERE. 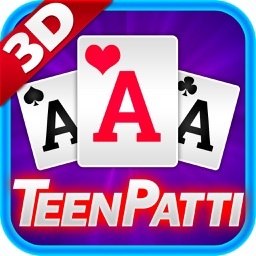 See why we have been called one of the teen patti apps! 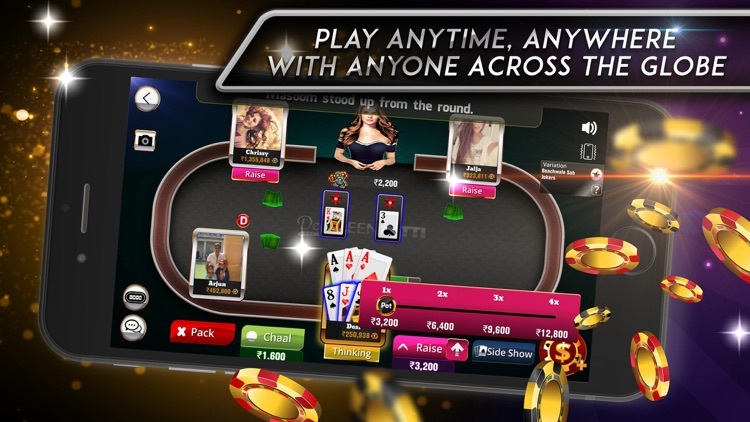 Play POKER DESI WAY Live with players across the globe, the Only Teen Patti app with the best experience and animations making it a true Indian Poker. We put enormous effort in making our indian teen patti one of the most visually stunning patti games! It’s a real treat to the eyes. 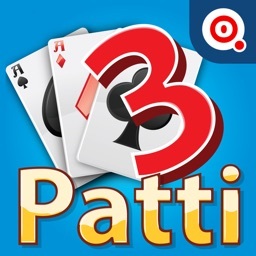 - ORIGINAL NEW PATTI: The only 3-patti app in the market which contains 42 variations of game a user can play with. Far more than any existing app in the market. YOU NAME IT WE HAVE IT !!! You will run out of chips but not variations! and guess what, more variations are coming soon! - STAY ENTERTAINED: Variations with real Desi feel (Kiss Miss & Bliss, Bewafa Joker, Guess the 3rd, AK47, Lallan Kallan, Mufliss, Kaana King Kaana Joke, the list is endless). The most fun teen patti indian poker game! - LIMIT AND NO LIMIT TABLES: Play the classic TEEN PATTI game or for those high risk takers, turn up the heat and play at higher stakes - how much skin you have in the patti game is up to you! - ONLINE INDIAN CASINO EXPEREINCE: Invite Friends to Private Tables and track your winnings with your private report. 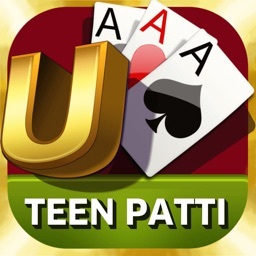 Use our teen patti app to organize online competitions and have fun! 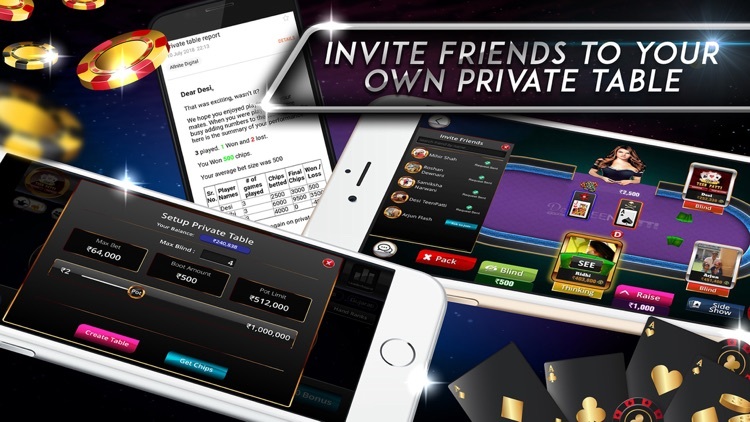 - PLAY WITH BUDDIES Compete in this indian poker game with your Facebook friends, family or millions of real players. There is something special when competiting with the people you know, so Invite your friends, unwind and make it a teen patti casino party live, celebrate Janmasthami, anywhere on mobile devices and tablets for FREE! 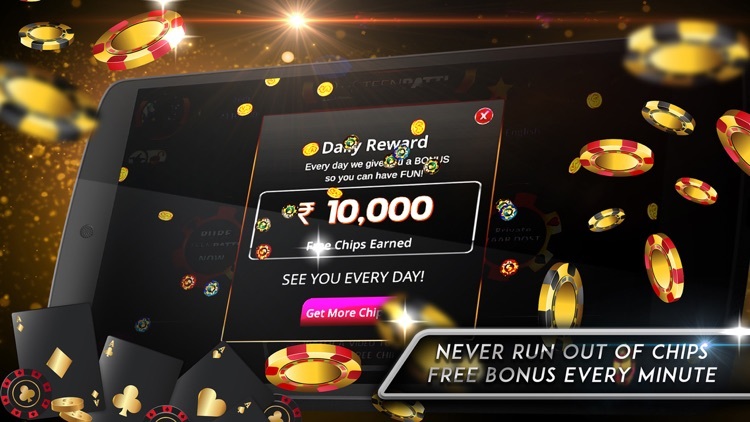 - MORE FREE CHIPS Every Minute– Running out of chips? Hardly! Our Indian card game enables you to collect FREE chips practically every minute. If that is not enough, why not watch an advert to top up chips balance. We also have got some very good deals on chips purchase. Check it out! - GUEST MODE Rock the tables and play anonymously – super fast way to get that patti win satisfaction. 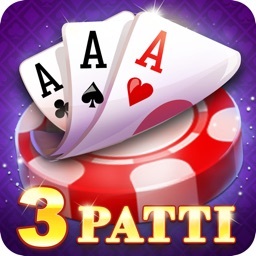 - PATTI CHAT Chat as you play and make new friends & rivals. Comment any patti game and show off or defend why you lost! - PERSONALIZE Choose from a wide variety of avatars or import your own picture from Facebook. 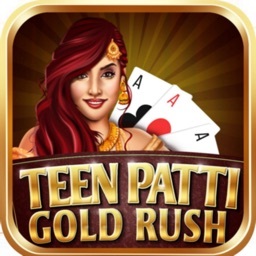 Make your avatar Teen Patti famous! - CUSTOMIZE	Your mood, your table theme and choice of deck of cards, change anytime. 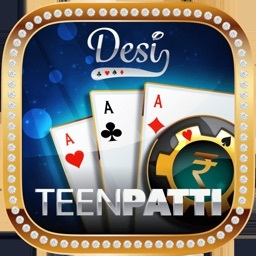 Make this teen patti game your own! Download Desi Teen 3 Patti Game for FREE!